Joyful Rant: Everyone Can Bowl For Kids' Sake! Everyone Can Bowl For Kids' Sake! 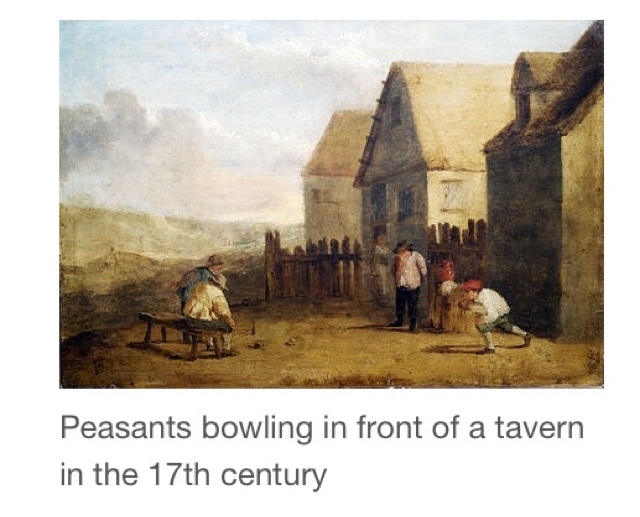 I think bowling's making a comeback. If you're one of those people, like my dad, who still bowls several times a week, you probably haven't wondered why people don't bowl so much anymore, but if you're like the rest of America, you'll understand what I mean. 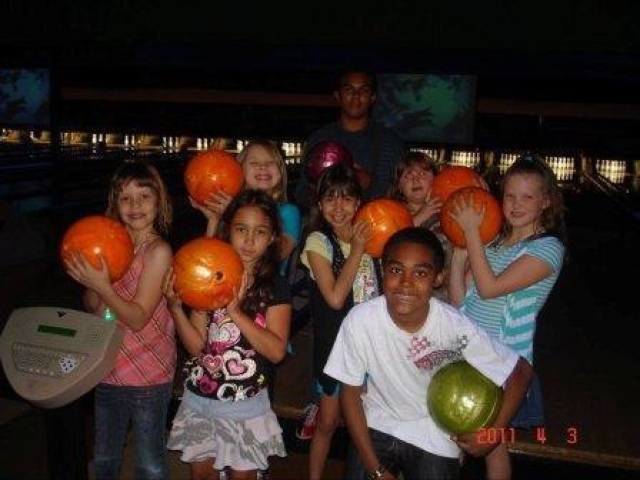 When I was a kid, I was surrounded by avid bowlers. My parents and grandparents and many of their friends bowled. I have bowling day-care memories that involve intense feelings of joy and freedom when I was finally let loose to roam the alley versus being handed over to the frizzy haired, chain smoking childcare lady behind a white, wooden half-door with squeaky hinges. 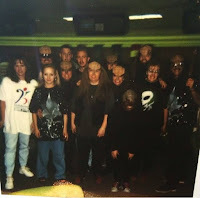 I spent hours running from one end of the alley to another with my friends, to the thunder of bowling balls crashing down onto the lanes, hitting pins, a cacophony of my childhood. When I was 18, I moved into an apartment in Universal City, Texas down the street from a bowling alley with a dance club/bar attached to it called Billy Dans. No one had ever taught me how to bowl, but dancing came naturally! It seems like only yesterday that I was sipping on a Ladies-3-for-one-night rum and coke to the tunes of "Into the Groove" and "Careless Whisper" without a care in the world. Ah, the 80's. 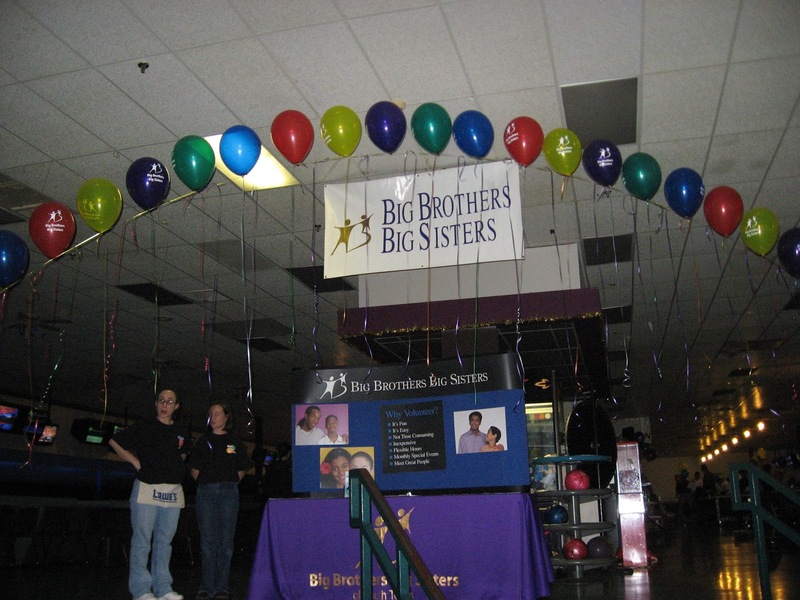 In March 1995 I worked my first Big Brothers Big Sisters bowling fundraiser in Oklahoma City with a bunch of competing teams of "Trekkies." These people thought that everything was more fun if you're wearing a Star Trek costume and bowling was no exception. Few team themes have lived up to this one since. The following year I "worked league lanes" for 2 months at a different bowling alley every night, which involved trying to fervently persuade hundreds of (mostly older) men to take a promotional bowling towel in exchange for a promise to raise $50 for Big Brothers Big Sisters. I got hit on. A lot. I didn't realize that 95% of these guys had heard the spiel dozens of time in the past and had every intention of participating. But not without making me work for it. It was my first BBBS right of passage. Anything for charity, right? The reason I think that bowling is making a comeback is because of all the new bowling centers like Bowlero opening up across the country. These swanky new centers feature restaurants, full bars, plush seating, complex lighting schemes and even fancy bowling shoes. I went to one in Phoenix that served bacon wrapped filet mignon and pecan encrusted asparagus. This is a new and different kind of bowling center, but it clearly points to a demand for more bowling opportunities. While the Big Brothers Big Sisters Bowl For Kids Sake event may not feature gourmet food, it will result in the making of more life changing one to one mentoring relationships for at risk youth. This event takes place at Bandera Bowl in San Antonio, where we have been going for over 15 years. No other center in town can top their awesomely charitable prices, which means that we can raise more money for the kids! 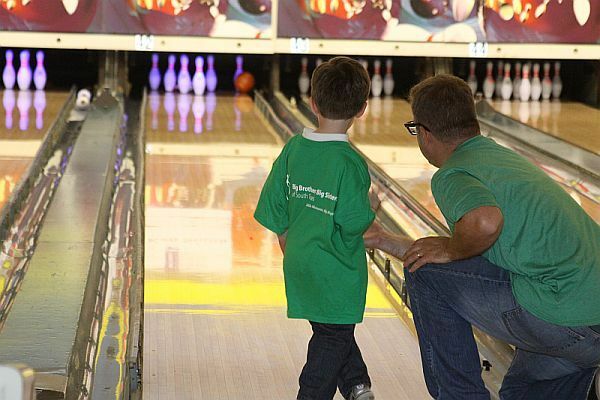 This year marks my 20th Bowl for Kids' Sake event and my kids and Littles and I still have fun every year. I hope they will have lots of fond memories to look back on when they are older. 1. Anyone can have a good time bowling: At our event you don't even have to actually bowl, you can just eat free pizza, drink beer, win prizes and watch everyone else bowl. Also, if you're really bad at it, we can get the bumper lanes up for you. 2. It's easier than a lot of other fundraisers to raise money. It's only $100, so you can get 10 people to give you $10 and you're done. 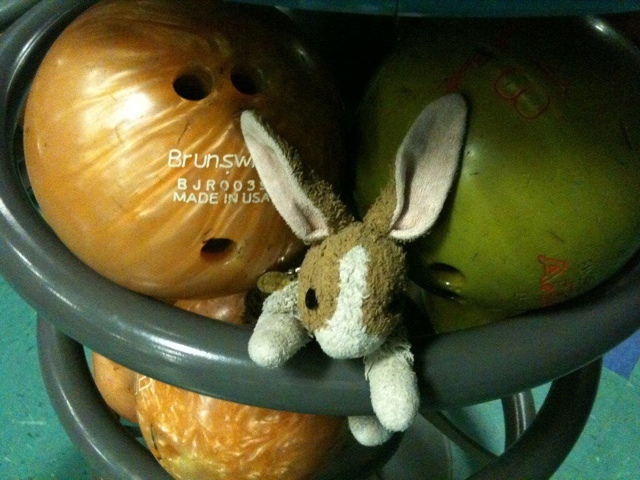 My youngest daughter's stuffed rabbit Bramble, our honorary Bowling Team Captain, once raised $250 and he is not even actually alive. 3. 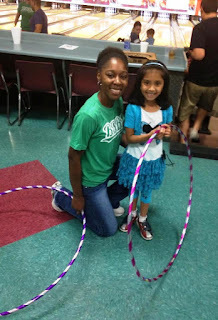 All the money raised is unrestricted funding to match any kid on the Big Brothers Big Sisters waiting list. There are over a thousand kids on that list, waiting for the phone to ring telling them that we have found the mentor for them. 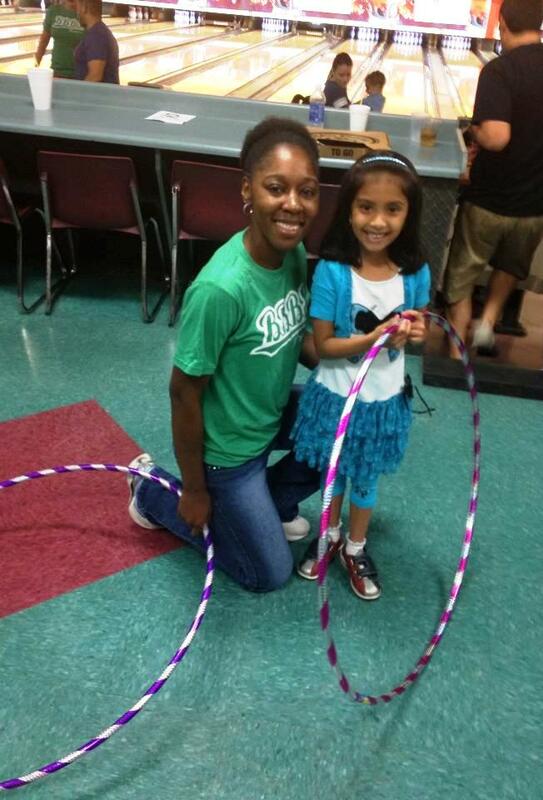 This event makes that happen for over 100 kids! Also, another bonus reason to participate is the annual Pin Decorating Contest. 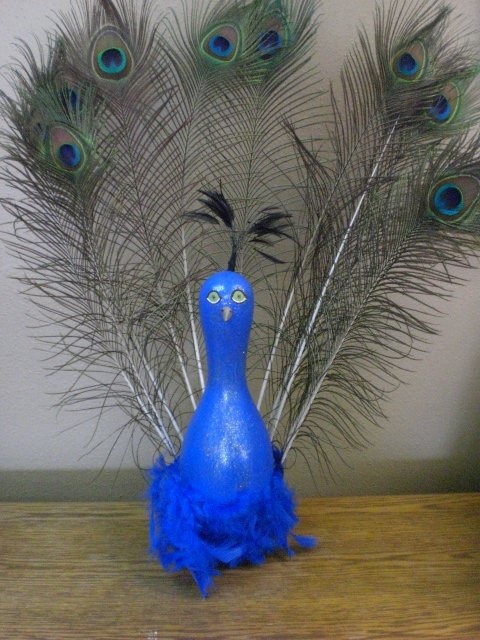 This is an opportunity to take on old beat up bowling pin given to us by the bowling alley and transform it into your creative, artistic masterpiece. I am not personally creative myself, but I still have a bowling pin lamp in my office made by Zachry Holdings a few years ago - it's pretty impressive. The following are a few of my favorite pictures from the event over the years! Come on out and be a part of matching the next new Little Brothers and Little Sisters! There are shifts on June 26 & 27 or September 26 & 27 to choose from. Click HERE to learn all about how to sign up as a team or an individual, tips on fast, easy fundraising, info on all the prizes you can win, and how to get the new mobile app. Finally, please watch and share our new PSA here! Look how excited these bowlers are!